If you've been on my blog for a while, you know that I take every opportunity that I can to bring up Throne of Glass by Sarah J. Maas, which for me, revitalized the long-dormant genre of high fantasy in young adult fiction. I couldn't stop gushing about it in my review and I even made a list of similar, older books for people who loved it and wanted more. I seriously don't know why I don't see it around as much as other young adult series. Talk about underrated gems! For those of you who have had the joy of reading it, you'll know that the sequel, Crown of Midnight, comes out in the fall. What you may not know, because it was literally just announced, is that Sarah J. Maas just sold a second series to Bloomsbury! She announced it on her blog along with a lot of neat information about the series and an ARC giveaway for Crown of Midnight. The new series will be A Court of Thorns and Roses and is a fairytale retelling of Beauty and the Beast, Tam Lin, and East of the Sun, West of the Moon. I adore fairy tales, so I can't wait to see what Sarah does with them. Not to mention, her writing is thrilling and adventurous, so I'm sure if it's near as good as Throne of Glass, it'll be an instant favorite. I know! I'm so excited! The new Throne of Glass paperback is out already and the bonuses include an extra scene between Chaol and Dorian before they went to Endovier to find Celaena, which should be pretty cool. 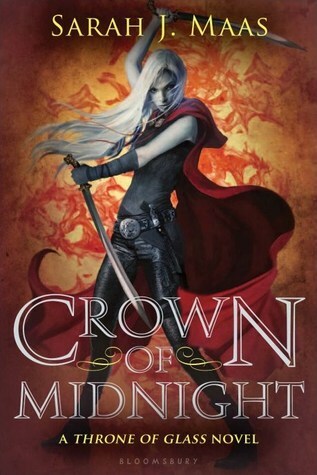 I can't wait for Crown of Midnight! Omg yaaaaaay! I'm so happy that Bloomsbury decided to buy Sarah Maas's second series! Throne of Glass was one of my fave novels of all time, and I'm sure I'll fall in love with her retellings as well. :) Thank you for posting this update! :D Now I have another series to add to my TBR list. Me too! If the writing is as good, I'm sure they'll be great. Glad to be of help!